Janet Frances McDonald (later Powell), was born in Nhill, Victoria, on 29 September 1942, the second of three children of Colin George McDonald and his wife Frances May, née Kilpatrick. Her parents were wheat and sheep farmers at the small town of Propodollah in north-western Victoria. Janet attended the local primary school until it closed, then continued her education at Nhill Primary School, Queen's Church of England Grammar School, Ballarat, and Nhill High School, as well as studying through what was then known as the Correspondence School. She was a student at the University of Melbourne (1960–1963), graduating with a Bachelor of Arts and a Diploma of Education. Powell always wanted to be a teacher and in 1964 she returned to the country to teach initially at Kerang High School and later at Nhill High School. In 1965 she married Alan Powell, and they had four children—two daughters followed by two sons. In the early 1970s the family moved to Davenport, Iowa, USA, so Alan could study to become a chiropractor. They stayed for about three years and on returning to Australia settled at Echuca in northern Victoria. From her time in the USA, Janet Powell acquired a sharpened awareness of political and social inequities, and a greater appreciation of the value of community. It was the era of Nixon and Watergate, and of what she perceived as increasing materialism in American society: 'I felt what we had in Australia was much more egalitarian and worth fighting for'. It was also a time when women were beginning to resist gender discrimination. Powell later recalled her experience of the teaching profession, when she 'knew men who had failed at university but were getting paid more'. I voted to give it a name, its original objectives, its constitution, its policy its leadership—indeed on all the party decisions—as did all members from then onwards. And I did this from my home in the country, where I had four small children to care for. The Democrats positioned themselves as a party that eschewed the worst and adopted the best of the two major parties. They were socially progressive, supporting explicitly feminist positions, and opposing 'big government, big unions and big business'. The party's founding leader, Don Chipp, had popularised the phrase 'keeping the bastards honest', capitalising on the generally low opinion of politicians held by the Australian public. After a solid career in the party, including becoming the first woman to be Victorian state president in 1984, Powell was chosen by the Victorian Parliament to fill the casual vacancy in the Senate when Chipp resigned in August 1986. She had already stood unsuccessfully for the Senate three times, having been placed second on the AD ticket after John Siddons in 1980 and 1984 and third after Chipp and Siddons in the double dissolution election of 1983. She was also twice a candidate for the Victorian Parliament, standing for the Legislative Assembly in 1979 and for the Legislative Council in 1985. Powell was elected to the Senate in her own right at the double dissolution election held on 11 July 1987. At that time, Chipp wrote that there was 'no doubt in my mind' of Powell's leadership potential. He praised her 'capacity to absorb and translate difficult issues with the ability and readiness to get down to plain, boring, hard work for the good of the party'. The Australian Democrats emerged at a time when social movements were finding a political role in Australia, as in the rest of the world. Powell entered the Senate strongly committed to feminist causes, to the peace movement, and to the green movement. This was an era when the number of women in Parliament (and particularly in the Senate) was growing fast, from seven senators and three members of the House of Representatives in 1980 to eighteen and ten respectively by mid-1990. In 1986 Powell was the second female Australian Democrats senator, joining Janine Haines and five men; when she became Leader in 1990, four of the eight Democrat senators were women. Powell was committed to improving the situation of women both in society in general and in Parliament, and the first private senator's bill she introduced in the Senate, in September 1986, was concerned with strengthening affirmative action legislation. While Powell appreciated that the Australian Democrats' election of Haines as the first woman leader of a political party in Australia represented an important symbolic moment, she recognised that despite the status achieved by women in Parliament and elsewhere, many 'well-placed' women often forgot that the 'vast majority of other women' did not enjoy the same benefits. Powell opposed logging and wood-chipping in Tasmanian forests, and she believed that nuclear-powered ships should not be permitted to dock in Australian ports. She advocated a complete ban on the mining and export of uranium. Within the Australian Democrats Powell had been spokesperson for and convenor of rural policy for several years. This interest was carried into the Senate, where she spoke on agricultural and primary industry policy matters, including wheat marketing, beef production, and the use of chemicals in farming. Powell was the instigator of the Senate Select Committee on Agricultural and Veterinary Chemicals in Australia, established in 1988. Powell served as a temporary chairman of committees in 1987 and 1988. In chairing the Senate in this important role, Powell followed the example set by Janine Haines. Her membership of the Scrutiny of Bills and Privileges committees also reflected a commitment to parliamentary processes. In 1986 Powell succeeded in having psychiatric illness included in definitions of disability for the purposes of disability services legislation. In 1989 she introduced the Smoking and Tobacco Products Advertisements (Prohibition) Bill, banning cigarette advertising in all print media. The measure was one of a handful of private members' or senators' bills to pass both Houses and into law, and the first by a female federal parliamentarian. Powell, a former smoker, had been 'converted' to the anti-smoking cause by her children; in her valedictory speech, four years later, she said that she was 'particularly proud' of that legislation. Powell spoke frequently on the issue of media ownership, believing that a concentration of ownership was a threat to democracy. She opposed the introduction of pay TV, arguing that the schemes put forward by the Hawke and Keating governments worked against diversity of ownership, and would be to the detriment of Australian programming. Powell introduced two private senator's bills which proposed limits on the scope of commercial television licences, and on foreign ownership of electronic media. Neither measure succeeded, but she did win acceptance for her suggestion that the pay TV part of the Broadcasting Services Bill 1992 be sent to a Senate committee for review. As a member of the select committee examining the issue of subscription television, she voiced her concerns about a role for the Australian Broadcasting Commission, and potential effects on local content and open competition. In 1990 Janine Haines resigned from the Senate to contest a House of Representatives seat at the general election of 24 March. When she was not elected, Haines retired from politics, and her position as parliamentary leader of the Australian Democrats became vacant. Powell was elected to the post by a postal vote of party members in May 1990, defeating John Coulter. She assumed the leadership from 1 July. Powell's tenure as Leader was short, lasting only thirteen months, but it was long enough for her to make a mark. Led by Powell the Democrats opposed Australian participation in the First Gulf War against Iraq in January 1991 and supported the anti-war rallies that occurred in capital cities. Powell saw her activities in opposing the war as a catalyst for Prime Minister Bob Hawke's recall of Parliament on 21 January to debate Australian involvement. Under Australian Democrat rules, a petition signed by a minimum of one hundred members could force a ballot for leadership, in which all members could vote. A petition against Powell was initially circulated in April 1991 in South Australia, then re-emerged in Queensland three months later, prompting a postal ballot. Before the ballot was complete the parliamentary party voted six to two to remove Powell from the leadership, and to appoint John Coulter as acting leader. The ballot of membership elected Coulter as Leader in October 1991. As Powell departed the leadership, media reports made much of alleged resentment within the party over her relationship with fellow AD Senator Sid Spindler. The reality was far more complex. Her involvement with Spindler was not a sudden development; they had been together for four years, and she was divorced from Alan Powell in 1988. The reasons behind the petition against Powell included her desire for a closer connection with the Greens, and discontent with her leadership style. Democrats Queensland President (later Senator) John Woodley, blamed what he described as Powell's 'one-woman band' approach, especially over her decision to seek a compromise solution to the government's attempt to ban electoral advertising in 1989, a measure strongly opposed by many in her party. Coulter denied that Powell's private life was a factor, and focused on three other matters: a large overtime claim submitted by Powell's press secretary; party divisions over immigration when Spindler held that shadow portfolio; and—in the aftermath of the end of the relationship between Powell and Spindler—Powell asking Spindler to resign his Senate seat, a subject on which Coulter said other Democrat senators were not consulted. On 31 July 1992 Powell resigned from the Australian Democrats; a number of other members of the Democrats' Victorian Division also resigned. During the rest of her term in the Senate Powell sat as an Independent, sometimes teaming with Greens (WA) Senator Christabel Chamarette to oppose all other senators in the chamber in divisions. Powell contested the federal election in March 1993 as an Independent, but was defeated. In October 1992, she had formed and registered a short-lived party, the Janet Powell Independents' Network, which was de-registered voluntarily in November 1993. Farewelling Powell from the Senate in May 1993, Senator Gareth Evans said that she had 'won a great deal of respect and admiration for the way in which she has withstood, with apparently infinite good cheer, the buffeting of what has been, on any analysis, a pretty tumultuous political career'. Powell maintained her political and community interests after leaving the Senate. She was deputy chair of the National Multicultural Advisory Council between 1994 and 1997, president and committee member of the Victorian branch of the Friends of the ABC from 1992 to 1999, and a director of the YWCA Victoria Board from 1992 to 2002, including serving as president for six years (1994–2000). In 2002 Powell joined the Australian Greens Party, and she stood unsuccessfully for a Legislative Council seat at the 2006 Victorian state election. Powell also put her political skills to use, running workshops and seminars for community groups on developing advocacy and lobbying skills. Janet Powell died of pancreatic cancer on 30 September 2013. 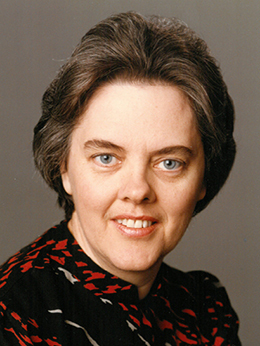 Janet Powell was a politician committed to movements for social and environmental change. In the Australian Democrats she found a party that was both congenial and appropriate to her own ideological position, with a focus on moral issues rather than the starkly delineated interests of capital and labour represented by the major parties. Her eventual move to the Australian Greens Party was a logical progression to a party that took over the environmental mantle when the Australian Democrats proved more pragmatic. Sunday Age (Melb. ), 2 Sept. 1990, 'Agenda', p. 4; Sunday Herald (Melb. ), 1 July 1990, p. 17, 27 Dec. 1992, p. 1; Clare Curran, 'Profile: Janet Powell', Australian Left Review, Oct. 1990, p. 8. Janet Powell, 'Electing women: the Democrats and the Australian Greens. Why is it so?' Victorian Historical Journal, Vol. 79, No. 2, Nov. 2008, p. 257. CPD, 22 Sept. 1986, pp. 659–63; 'Profile: Senator Janet Powell', House Magazine, 15 Aug. 1990, pp. 3–4; Don Chipp, Chipp, Methuen Australia, North Ryde NSW, 1987, p. 38. CPD, 1 May 1987, pp. 2150–4. Media Release, Senator Janet Powell, 6 Nov. 1986, 13 Oct. 1988; CPD, 2 Dec. 1986, pp. 3159–60, 13 April 1988, pp. 1443–6, 25 Nov. 1986, pp. 2690–2, 26 Feb. 1987, pp. 661–2, 31 May 1989, pp. 3153–5; Australian Rural Times, 12 Oct. 1989, pp. 29–30; CPD, 19 Oct. 1988, pp. 1553– 60; Media Release, Senator Janet Powell, 20 April 1988. Media Release, Senator Janet Powell, 20 Nov. 1986; CPD, 27 May 1993, pp. 1548–52. Media Release, Senator Powell, 8 Dec. 1986; CPD, 15 April 1988, pp. 1551–2, 22 May 1990, p. 719, 24 June 1992, pp. 4433–8, 25 June 1992, p. 4732, 24 Nov. 1992, pp. 3358–60; Media Release, Senator Janet Powell, 17 June 1992. CPD, 27 May 1993, pp. 1550–1; Nicholas Economou, 'Cooperation and competition: the two faces of Democrat-environment movement relations' in John Warhurst (ed), Keeping the Bastards Honest, Allen & Unwin, Syd., 1997, pp. 251–67; Transcript, ABC Radio 'AM', 9 April 1991; Juliette Hughes, 'The Green Battler', Eureka Street, April 2001, pp. 22–6. Hiroya Sugita, 'Challenging "two-partism": the contribution of the Australian Democrats to the Australian party system', PhD thesis, Department of Politics, Flinders University, July 1995, pp. 101–12; Australian (Syd. ), 2 Aug. 1991, p. 4; Sun Herald (Syd. ), 25 Aug. 1991, p. 104; SMH, 24 Aug. 1991, pp. 5, 9; Transcript, ABC Radio 2CN, 'Morning Show', 23 Aug. 1991; 'Janet Powell: bitter revelations', New Idea, 21 Sept. 1991, p. 21; David O'Reilly, The Woman Most Likely: Cheryl Kernot, Random House, Milson's Point, NSW, 1998, pp. 140–4. CPD, 18 Aug. 1992, pp. 1–2, 27 May 1993, p. 1505. This biography was first published in The Biographical Dictionary of the Australian Senate, Vol. 4, 1983-2002, Department of the Senate, Canberra, 2017, pp. 457-460.